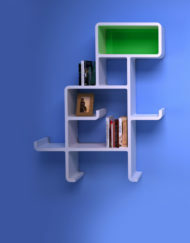 Express your unique style with the “Dolphin” shaped modular wall shelving unit. 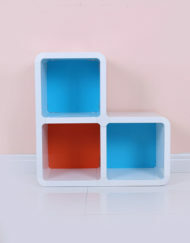 Use it to design fun and functional ways of creatively displaying personal items such as books, souvenirs, trinkets, photographs and more . 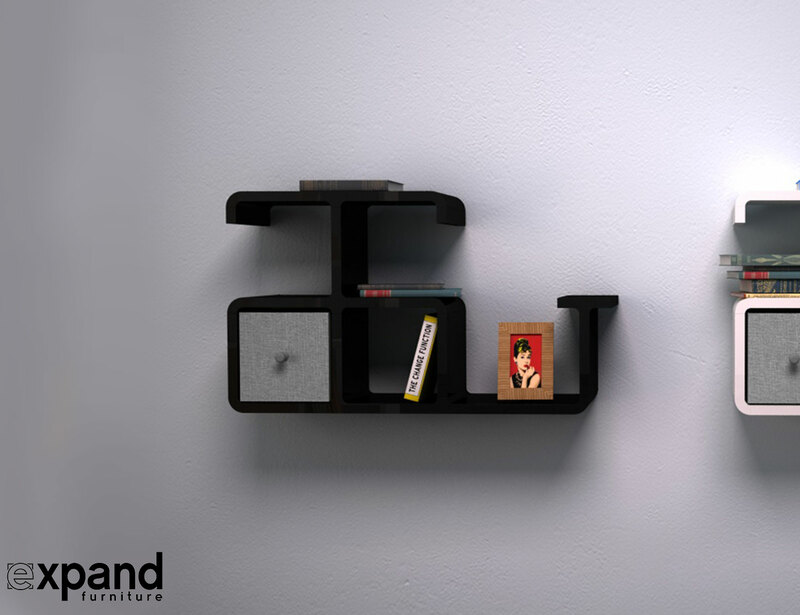 This modern wall shelving system is available in timeless black or white. 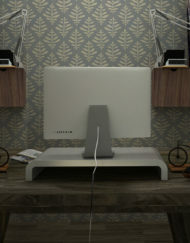 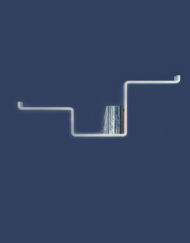 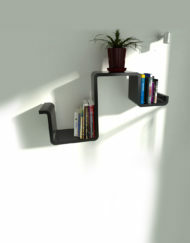 The modular concept is simple and allows for endless possibilities, if you want to expand on the original design. 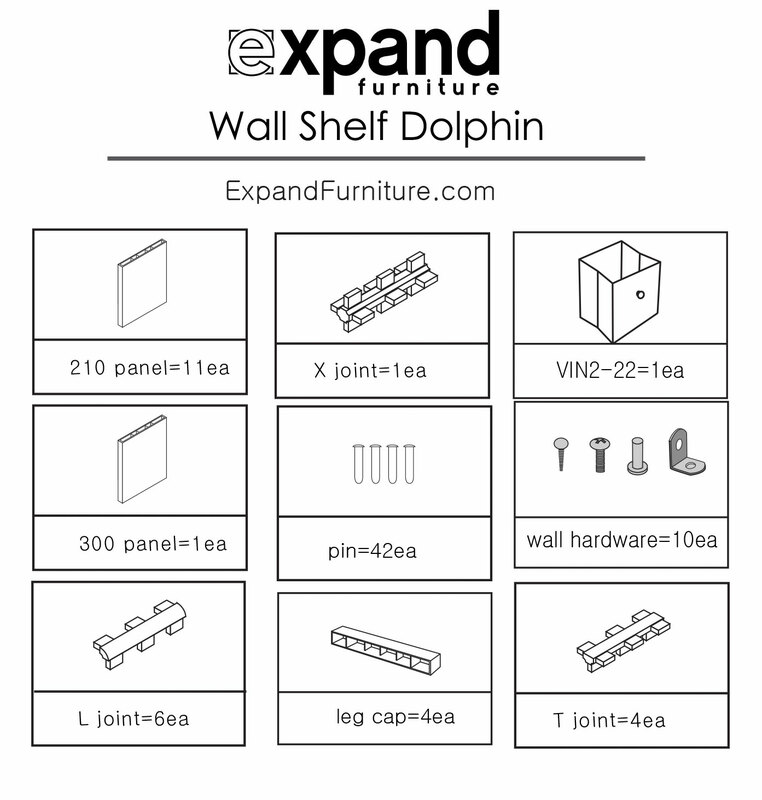 Simply snap together the pieces provided to create the “Dolphin” shaped shelving unit, or switch it up by creating a system that suits your needs and works with your living space. 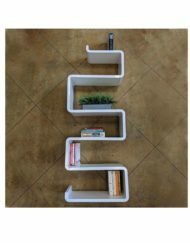 Hide away clutter or small items in the collapsible storage drawer that is included in this fun decorative shelving system. 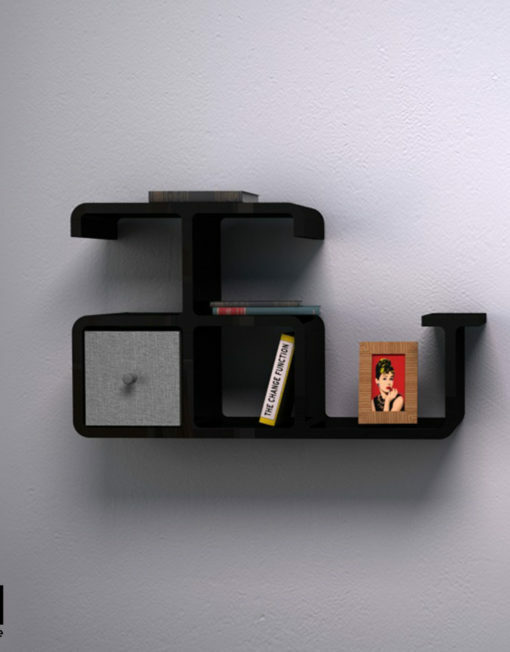 The rounded corners give the decorative shelf a pleasing look, while its sturdy and thoughtful construction safely displays your personal items. 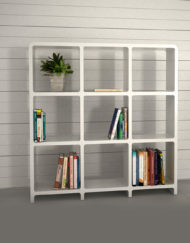 No matter if you choose to assemble the entire system, or break it up into pieces for smaller spaces, we are certain you will love the style and versatility of the “Dolphin”. 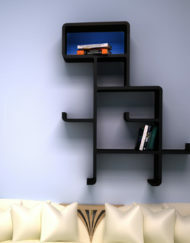 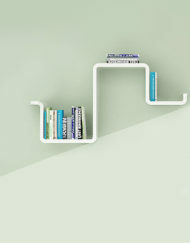 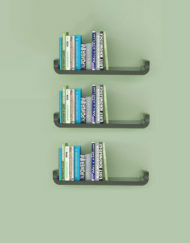 This innovative modular shelving system which is shaped like a Dolphin is a great option for any home. 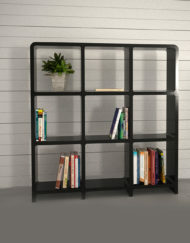 Display your children’s items, books and toys by wall mounting it in the kid’s room, or use it in your living room to express your personal style. 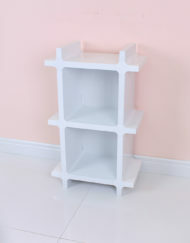 The rounded corners and the formaldehyde free plastic make this decorative shelf an environmentally safe as well as highly durable and stain resistant product. 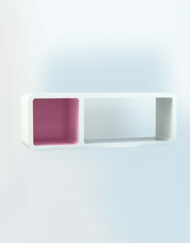 The easy to clean and water resistant surface allow the shelf or its components to be used in moist areas such as bathrooms for example. 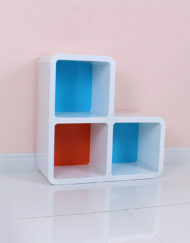 Let the “Dolphin” be a fun way to display towels and toiletries while using the drawer storage for smaller items. 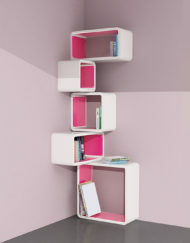 Like with the other systems of the series, you may switch things up and create a multi level shelf, storage cubes for the wall or the floor – or your own design. 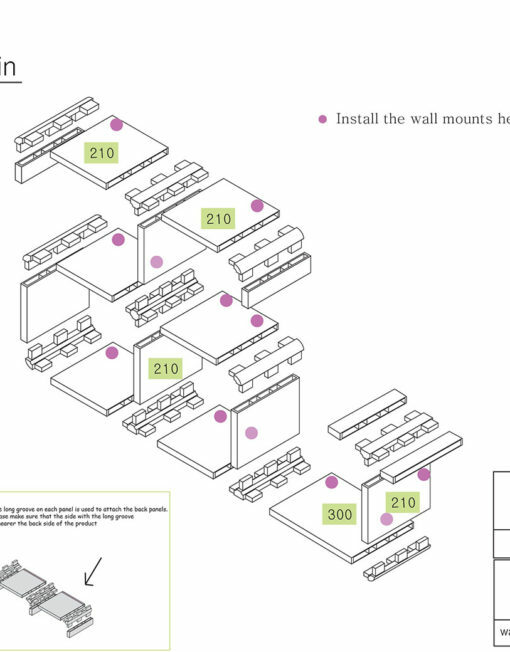 All our systems are extremely easy to put together and wall­-mount while allowing for a multitude of different designs and useful applications. 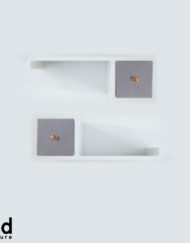 Even when taken apart, the individual parts leave you with almost no unused components; even the smallest parts can be used to create a convenient items such as a monitor risers or mini shelves. 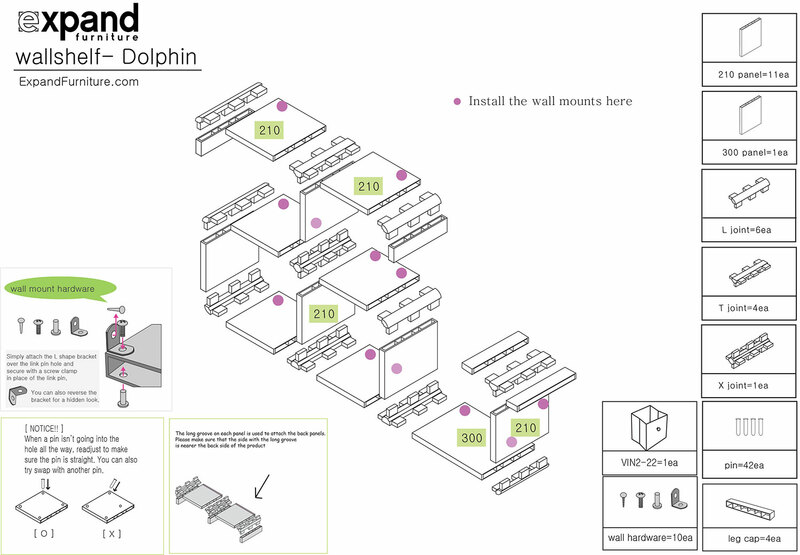 Fully assembled, the CU2 Dolphin measures approximately 92 cm (36.2 in) in length and 54 cm (21.3 in) in height. 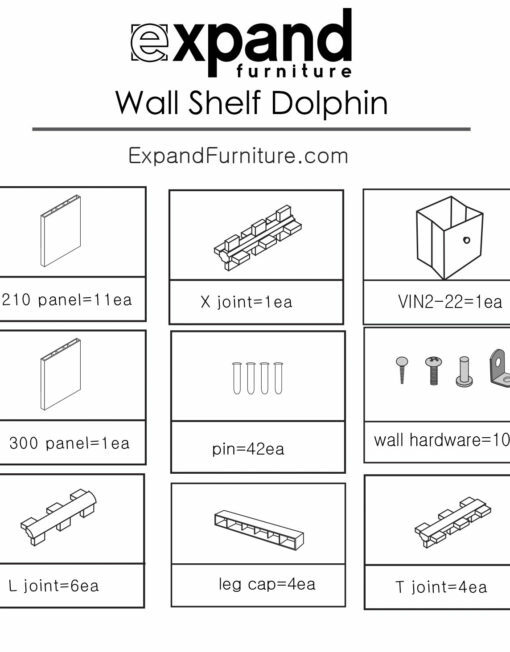 Remove the top of the Dolphin to switch it up and save space. 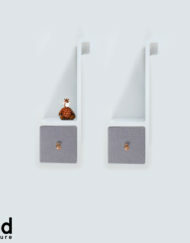 Without the “spray” the height is reduced to 29cm (11.4in) while still leaving the option of a storage drawer and two cubes including a shelf. 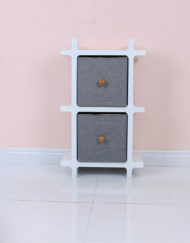 ~20 minutes – Connect all the pieces, add pins. 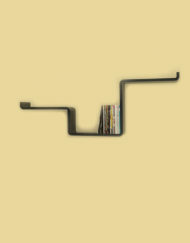 Wall mount with a single screwdriver and the included hardware.